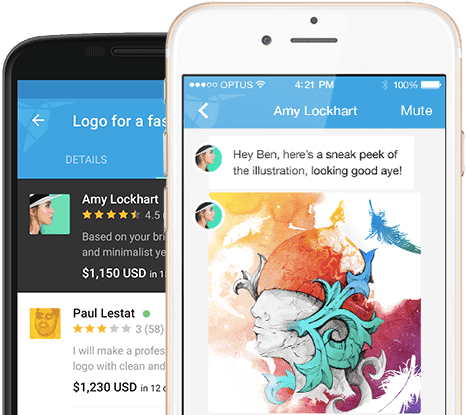 Create new projects, find freelancers, and collaborate with contacts on the go with the official Freelancer app for iOS and Android. 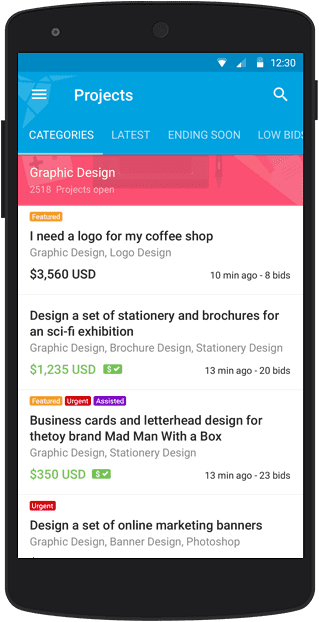 Discover new projects and bid on the go using Freelancer apps. Browse through hundreds of projects that match your skills. Prepare your proposals and place your bid on the go. Communicate with your clients and accept offers wherever you are. Employers, get work done faster. 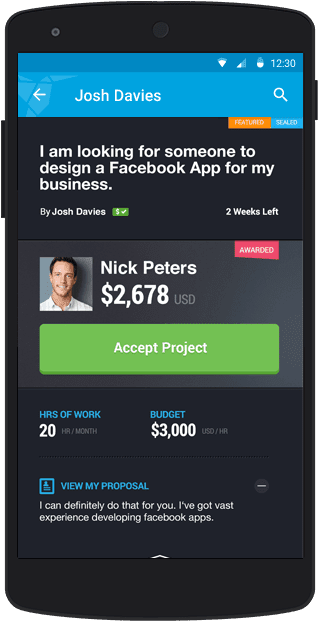 Find freelancers and get your project started on your mobile device. Post your project straight from your mobile. Review bids and award jobs on the go. Communicate with your freelancers and stay up-to-date wherever you are. Take Freelancer with you. Get the app for Android or iOS.